April began on a super note for Toybank as Shweta Chari was invited to be the guest speaker at Zephyr’s Toymakers Meet. 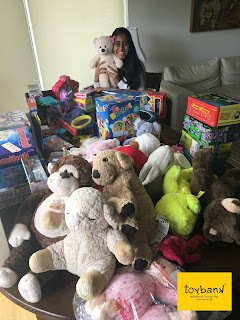 Zephyr is well known in India as a leading manufacturer of toys and is also a supporter of Toybank’s message of the Power of Play. Many of Zephyr’s games such as Mechanix, Oranges and lemons and Memory skills are used in Toybank Play Centers. Speaking at the forum, Shweta highlighted the reach and need of Toybank’s work and how the country ought to push for policy level change when it comes to access to play for all. She also questioned the gender discrimination that modern toys tend to promote. These quips, among others, got the audience of toy distributors and toy manufacturers thinking! 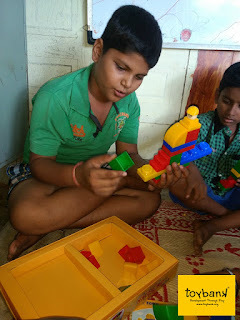 Following on, Madhulika from the Toybank Welfare team shared actual stories of children from Toybank Play centers and how the medium of play changed their perception and attitude towards education and the people around them. Among the stories, she recalled an incident when children at a particular rural center were very passive and non-responsive despite her best efforts to conduct fun activities. However, upon revealing the board games she had brought along, there was a sudden excited gasp from them. Their listless demeanor had been transformed instantly into enthusiasm by the prospect of play! Toybank’s work was well appreciated by all gathered with some asking how they could be a part of the change. This was a step forward towards Toybank’s ambitions.